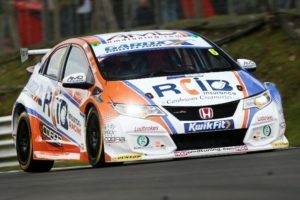 The Cobra Sport AmD with AutoAid/RCIB Insurance Racing team will hope to build on a strong testing programme when the new Kwik Fit British Touring Car Championship season bursts into life this weekend at Brands Hatch. 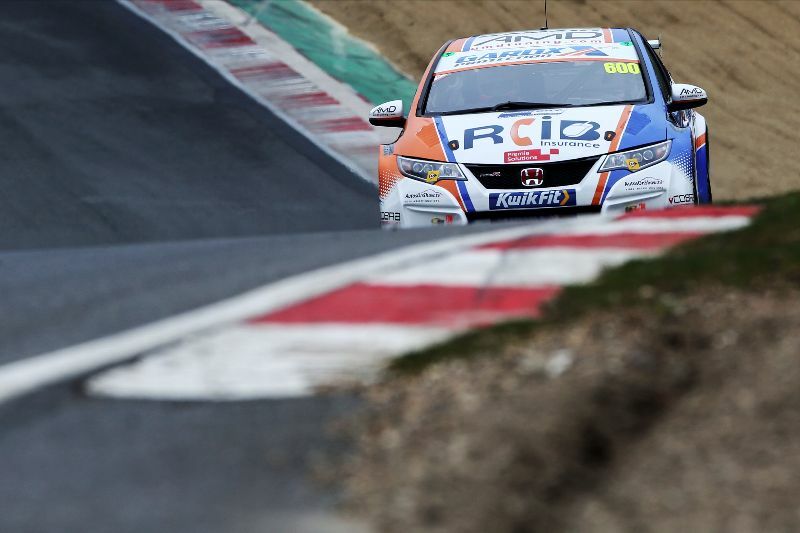 The West Thurrock-based team makes the short trip to its home circuit in confident mood, with drivers Rory Butcher and Sam Tordoff buoyed by the pace shown by the team’s new Honda Civic Type Rs in official testing at the circuit last week. Bradford racer Sam proved to be the man to beat on the timesheets, with a record-breaking lap at the wheel of the #600 Honda seeing him lead the 30-car field. Twelve months ago, Sam qualified on the front row of the grid – alongside the Honda he is now driving – but found himself out of luck on race day, something he will be keen to avoid this time around. With consistency being key to a championship challenge, Sam heads into his first weekend with the team keen to put a good haul of points on the board, with three strong top ten finishes being his ultimate aim. Team-mate Rory heads into his second full season in the series looking to build on a solid 2018 campaign that saw him regularly fighting for points finishes in an MG6 GT. Now armed with one of the most successful cars to have raced in the series in recent years, the Fife racer will hope to build on the experience gained last season to push forwards into the top ten and launch a bid for Independents’ class honours. The corresponding event last year saw Rory secure a career-best finish of sixth in the final race of the weekend and – like Sam – three strong points scoring finishes are the target from the opening weekend of the campaign. “I’m feeling really positive going into Brands Hatch. We’ve had a good testing programme, and Knockhill in particular was great for me because I know the circuit like the back of my hand and it meant I could work on gaining confidence in the car. We’ve been able to get complete some decent mileage, and I feel we’re in a good position for the season opener. “It’s clear to see that the Honda is a big step forward from the MG we had last year. The shorter wheelbase helps, and there are a few key areas where it is stronger. When you combine them together – and add in the development that has gone into the car – you can see how good it is. “Testing has gone really well over the past month and we have been quick at every circuit we have been to, which gives me a lot of confidence going into the opening round. “So far, the Honda has proved to be everything I expected from it and more besides. When you hear people say how good a car is, you expect there to be something that isn’t quite right but it really is that good. It does everything that little bit better than the cars I have driven before and that combines to make a great package. The new Swindon engine is also a big improvement from when I last raced with one in my MG days. “Despite what we have done in testing, it’s important that we don’t get carried away going into Brands Hatch as the season is long and there are lots of twist and turns ahead. I saw first hand last year how important it is to finish races well and keep scoring points, and not being able to do that through no fault of my own really cost me. “This season will be our tenth in the BTCC and I think we are going into the opening round in better shape than ever before. Pre-season testing with the Hondas has gone well and both Sam and Rory have been on the pace, and Sam has quickly gelled with the team.